My first project as a GEIR reminded me that the best aspect of entrepreneurship is the opportunity to cooperate with brilliant and enthusiastic professionals from different backgrounds. 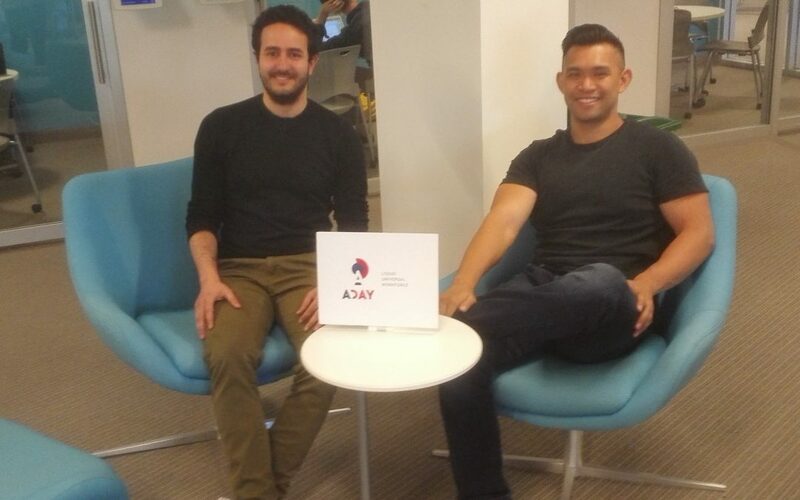 During the last semester, 5 MBAs from Stephen Manning’s Strategic Management Class invested their time and attention in Aday, the startup I joined as a co-founder around one year ago, founded by Rahkeem Morris, an HBS graduate. Manning’s assignments covered all the major aspects of the business, while at the same time encouraged the team to have a creative approach. Making people understand all nuances of a rising company is not an easy task. Before having the first meeting with the team, I sent them some drafts on Aday and expected them to have a lot of doubts and clarification questions for the first meeting. Instead, the team surprised me by showing right away not only a deep understanding of the business’ peculiarities but also by presenting me creative and challenging considerations from the beginning. That was the starting point of a productive cooperation. The team demonstrated an ownership mindset. With time, they started calling Aday “our startup”, and we had weekly meetings even outside of the required hours. This approach helped them to stay always up to date with Aday’s new challenges, by constantly bringing suggestions to the table. To wrap up, I would first like to thank the professor – Stephan Manning. After cooperating with him on two courses, I’ve noticed his ability to motivate students by making them reason not only on academic notions and principles but also on main drives and motivations for their careers. I am also thankful to the VDC, and after I experienced the talent and motivation of UMASS students, I can definitely see the opportunity for some of them to join Aday and change the future of work together. Giovanni is a co-founder and CTO of Aday Technologies, a startup that allows blue collar workers to work for one company with multiple work sites or locations, by taking into account their schedule preferences. He holds a Master’s Degree in Computer Engineering from Polytechnic of Milan. He presented a seminar on Deep Learning at Harvard Compute Fest 2017. He is passionate about Artificial Intelligence, both in its applications and philosophical implications. In addition, Giovanni serves as a Global Entrepreneur-In-Residence at the VDC and helps students and entrepreneurs on technological challenges especially related to Software and Web Development, Machine Learning and Operations Research. General office hours: Every week; days vary depending on the week. Please email to schedule a meeting at giovannibconserva@gmail.com.